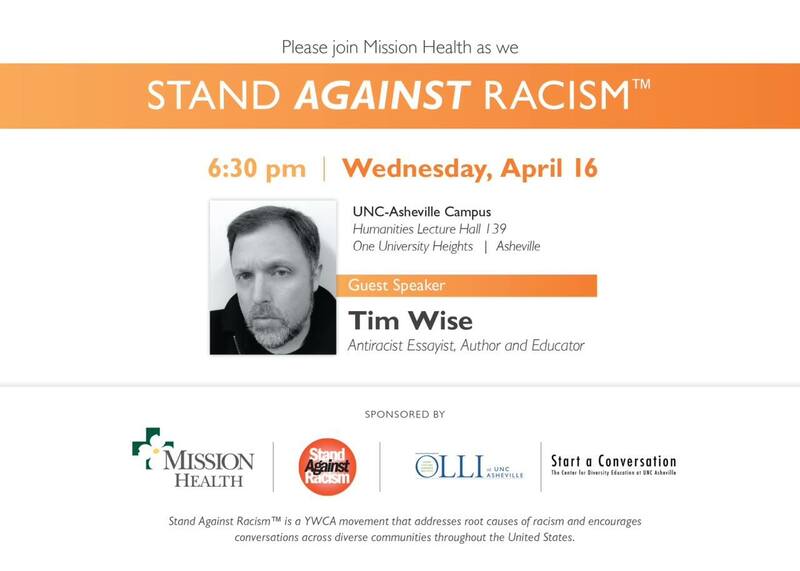 Tim Wise is speaking at UNC Asheville next Wednesday, April 16 at 6:30 pm in the Humanities Lecture Hall as part of the YWCA Stand Against Racism. Wise is a nationally recognized antiracist writer and educator who articulates issues of white privilege in very powerful ways. I highly recommend this event – it will be an uncomfortable but important talk.